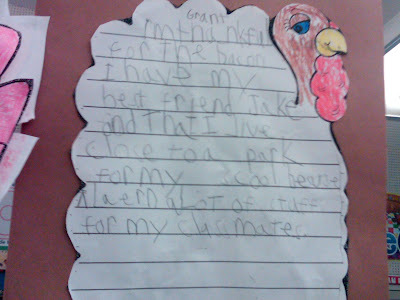 The other kids were thankful for family, grandparents, pets, etc. If they were to actually tell the TRUTH, 99.9% of ALL men would be thankful for bacon! Grant just tells the truth. I’m thankful for bacon too! 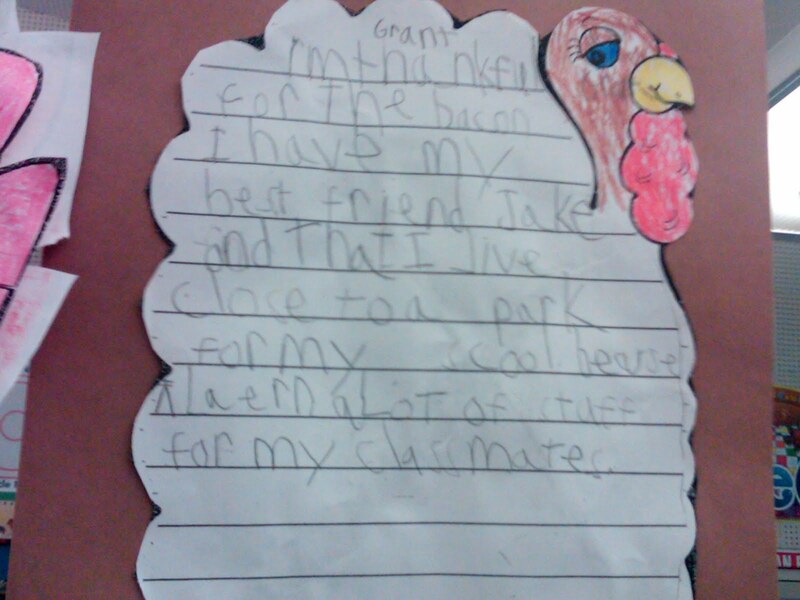 I’m thankful for bacon too, Grant. I’m thankful for bacon too. I’m kind of with Grant on this…bacon is pretty good!!! I think we should all follow his lead and be thankful for bacon. It’s pretty darn tasty! And biscuits and gravy, and eggs, and sausage and toast…. Man I can’t wait to fix breakfast tomorrow. Wait?! Aren’t you the momma who cooked a whole pkg of bacon for one son’s birthday??? He was just dreaming of that….